The use of physical models is common in medical construction. 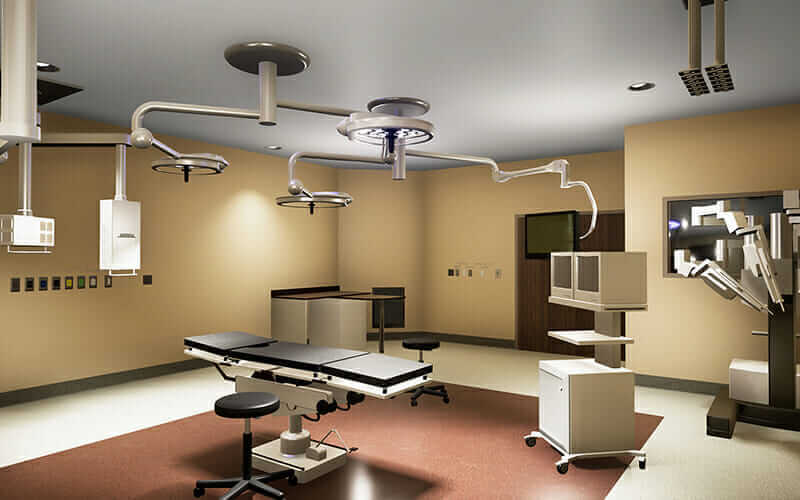 Operating rooms, ERs, and other hospital components are complex, so trial runs are necessary to ensure that vital life-support systems and hospital infrastructure work efficiently in compact spaces. But creating physical mockups is time-consuming and expensive, and discovering errors that require reworking during construction adds to costs and delays. 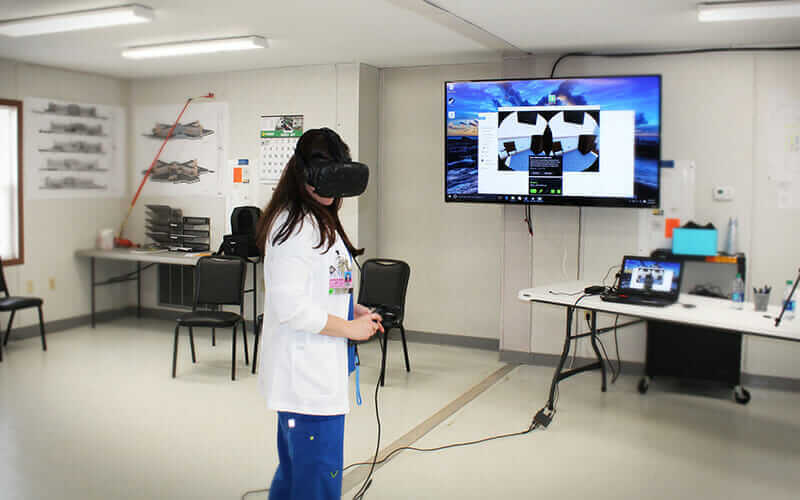 So when Layton Construction embarked on designing a 485,000-square-foot, 280-bed medical center in Florence, Alabama, the company turned to virtual reality (VR) to create virtual mockups during the design phase and at key milestones of the build process. For the medical center, building design prototypes would have meant creating 20 physical spaces in a rented warehouse. Projected costs were about $250,000, and the revision process would have been tedious and labor-intensive. However, Layton had been working on a better way to conduct test walkthroughs of proposed room layouts. 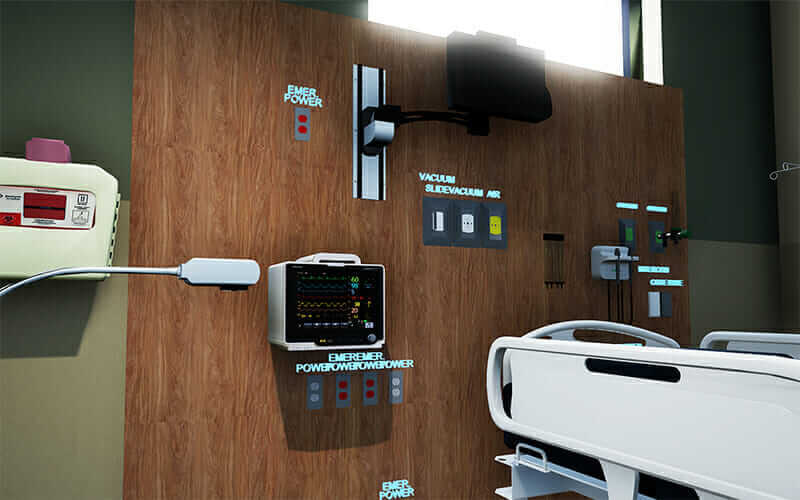 By creating realistic 3D models of the medical rooms and asking owners and end users to interact via VR goggles, the firm hoped to give them a real-world context for the rooms’ feel before construction commenced, ultimately reducing potential change orders and other delays. 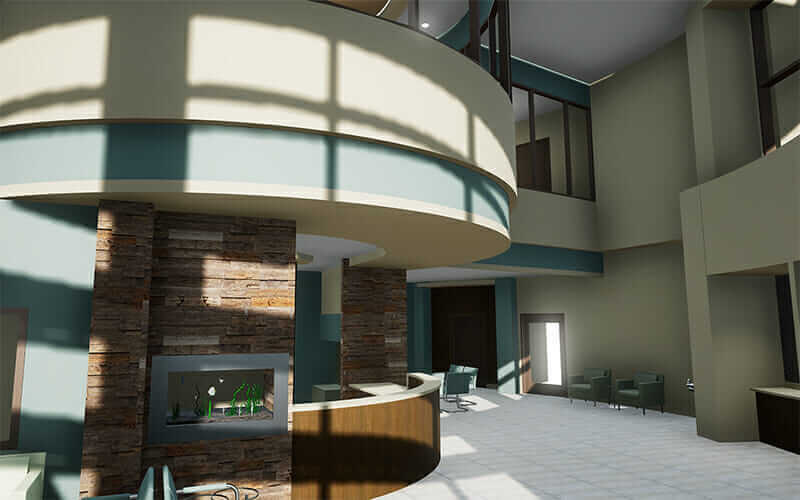 VR let the team jump right to lifelike, photorealistic mockups, such as this virtual lobby, on day one. Courtesy Layton Construction. 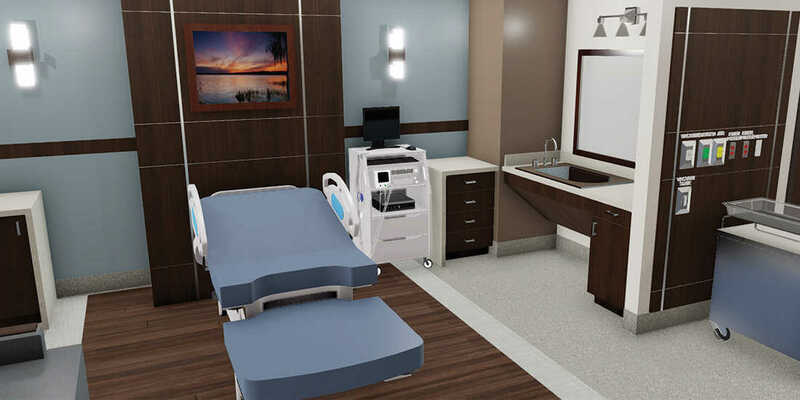 And it succeeded: The medical center’s mockup construction costs were reduced by 90 percent, and feedback from the visualization experience created many opportunities for prefabrication and design changes that dramatically sped up approvals and construction. The team was able to make prefabrication submittals two months sooner than planned. Twenty virtual spaces were created for the design process. Courtesy Layton Construction. Stingray, Autodesk’s 3D game engine and real-time rendering software, was used to apply surfaces and textures to the bare-bones models provided by the architects, and to build or import models of the equipment and furniture that would be used in each room. Layton brought medical professionals and hospital executives to large, open rooms where they could interact with the virtual space. Courtesy Layton Construction. Ultimately, the VR mockups were highly effective, and users provided quality feedback that made the tested rooms more efficient and useful. In one case, users found that where oxygen canisters were placed in labor and delivery rooms, they blocked access to outlets in headwalls. Because this issue was discovered in the virtual environment, the team was able to easily update the model before beginning the build process. User feedback helped fine-tune equipment placement. Courtesy Layton Construction.